Y ou’ve upgraded to Windows 10. You’ve survived. Congratulations! 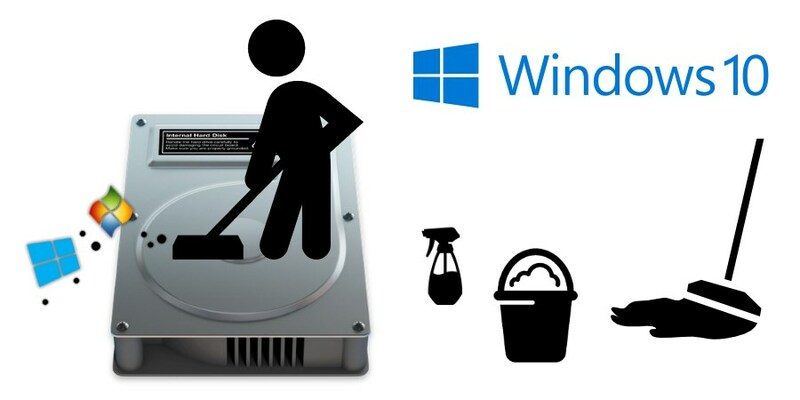 What you may not realize is that your old install of Windows 7 or 8 is still hanging around on your hard drive. These old files usually take up tons of space – as much as 20-30GB! This is especially bad if your main hard drive is an SSD, which usually have more limited storage space. There is a reason these files are still around: Windows 10 gives you the option (in Settings) to revert back to your previous version of Windows within 30 days of upgrading to Win 10. But, you bit the bullet, and you’ve decided to stick with Windows 10. So, how to get rid of all these useless old files? There are some files in other places, but the above 2 seem to be the biggies. 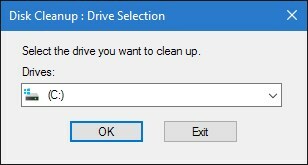 If you try to delete these folders manually, you will discover that Windows won’t let you. 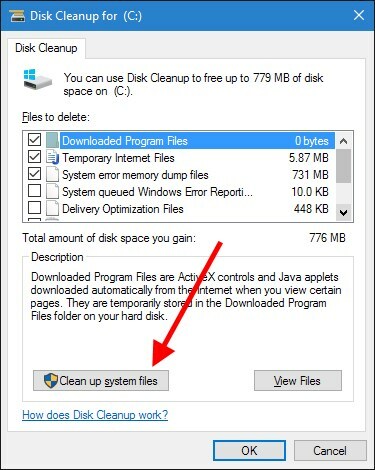 The Disk Cleanup utility will scan your C:, searching for files to clean up. Just wait until it’s ready. This will relaunch the utility, but this time it will also search for system files (like your old Windows installation stuff). But you can also select some of the other stuff if you’d like, such as Device driver packages or Thumbnails. You might see the following prompt… Just click YES! That’s it. 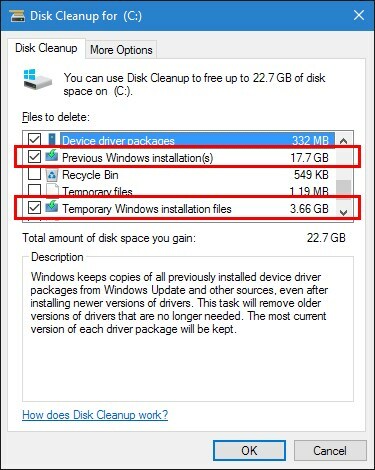 Disk Cleanup will spend a bit of time deleting your old Windows install files, and then automatically close itself. And then you’ll have a bunch more free hard drive space! ← Add to Cart doesn’t work on Amazon… Help! Looks like Win 10 automatically removed the old Win 7 on my computers. Thanks so much for the tips. 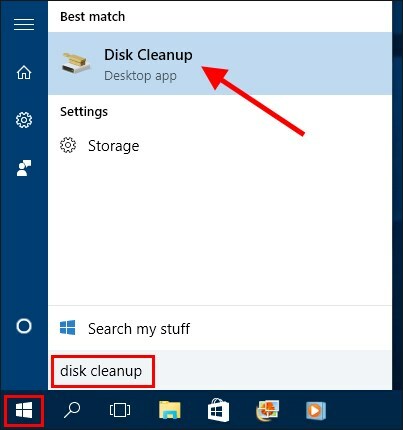 However I could not find the disk cleanup, so I used the Window Key + R and searched with “cleanmgr” and I got the disk cleanup after that. Lot of free space now.